Are you planning to explore Houston at night? As the most populous city in the state of Texas, Houston has a lot to offer aside from being home to the NASA Space Center. 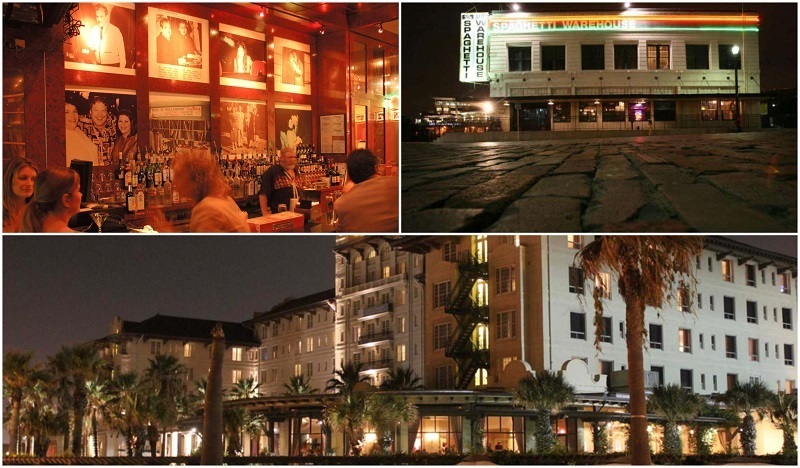 Be delighted with the unique Southern charm combined with a chic cosmopolitan vibe, as you go on an exploration of the vibrant city of Houston at night. Visit one of the largest museums in the United States, the Museum of Fine Arts Houston in the Museum District. Explore the museum and be fascinated with the over 65,000 works of art coming from six continents, spanning over 6,000 years of history. The Museum of Fine Arts is open until 5 pm on Tuesdays & Wednesdays; until 9 pm on Thursdays; and until 7 pm on Fridays to Sundays. The Downtown Aquarium is a public aquarium and a restaurant, developed with combining the Central Waterworks Building and Fire Station No. 1. 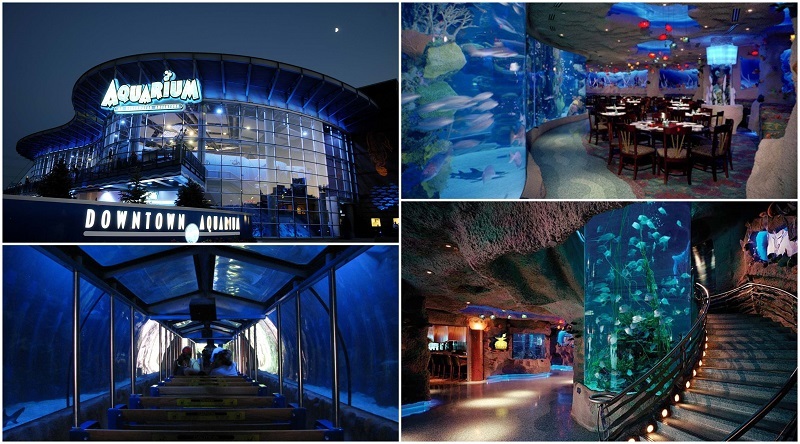 Get an exciting evening adventure as you view the more than 300 species of aquatic life sourced from all over the world, housed in aquariums holding a total of 500,000 gallons of water. Get an amazing underwater dining experience surrounded by sawfish, guitarfish, and reticulated rays that swim by your table at the restaurant! Enjoy the aquarium exhibits and the restaurant until 8:30 pm on Sundays to Thursdays or until 10 pm on Fridays & Saturdays. 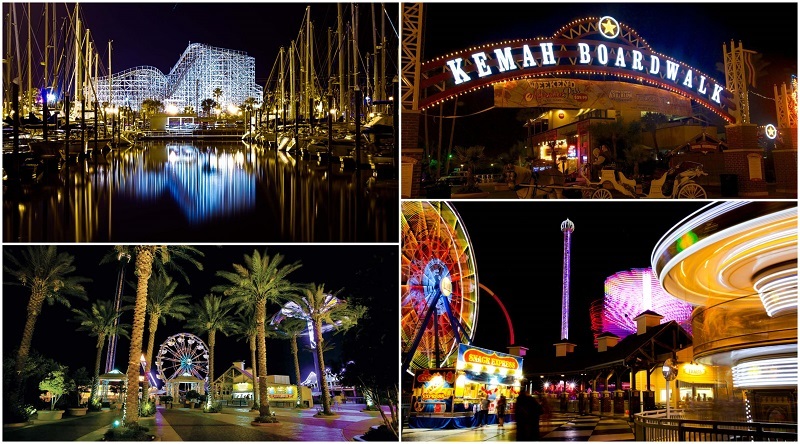 Get a thrilling theme park experience as you visit the Kemah Boardwalk at night. Located on the shores of Clear Lake and Galveston Bay, this tourist spot houses a wide array of rides, attractions, quaint retail stores, excellent waterfront restaurants, and seaside shows & events. Walking on the boardwalk is free, so you can enjoy the crisp evening air without spending a dime. Kemah Boardwalk is open until 7 pm on Mondays to Thursdays; until 8 pm on Sundays; until 9 pm on Fridays, and until 10 pm on Saturdays. Add more excitement to your evening by joining an Escape Room game! You will be locked in a room together with your team, with one hour to complete a mission so you can escape. You can choose from several thrilling Escape Room themes offered in Houston, such as the Apollo 13, The Heist, Theft of the Texas Lone Star, Prison Break, Gold Rush, Playground, and Marylebone. Depending on the theme, escape room last games may start as late as 11:10 pm, for 1 to 1.5 hours. Spanning 17 blocks in the downtown Houston area, the Theatre District is the place to go to for an evening enjoying the performing arts. 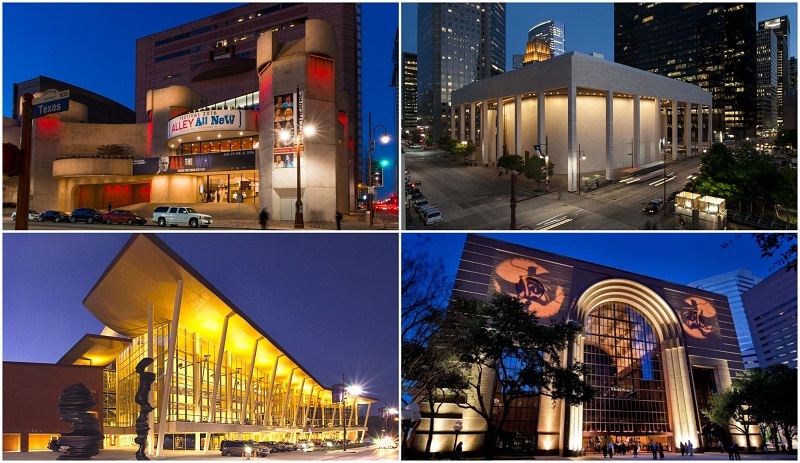 Visit the state-of-the-art Hobby Center for the Performing Arts, considered as the focal point of the Theatre District with its acoustically-distinguished theatres. Go on a segway tour of this area to explore other points of interest, such as Wortham Theatre Center, Jones Hall for Performing Arts, and the home of the Houston Ballet. Take in the city lights with a 75-minute guided tour onboard a double-decker bus. 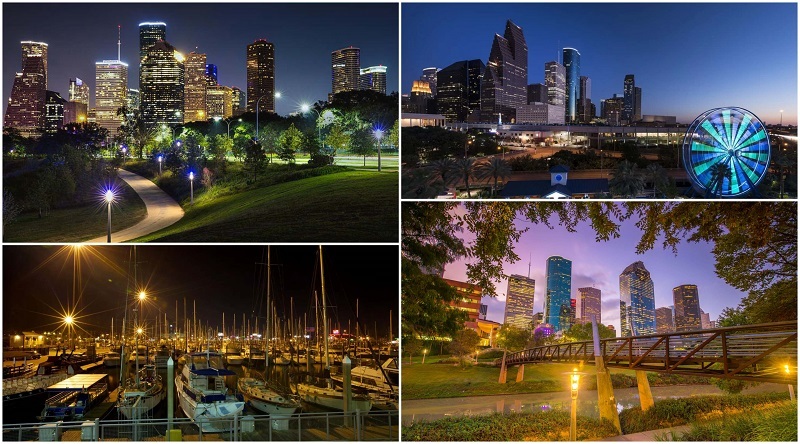 Get to see the beauty of Houston at night as you pass by the city’s most popular (and important) landmarks, including the Theatre District, Downtown Aquarium, the Market Square, and Buffalo Bayou. Get to know the history of the city with live commentary from the guide, to keep you riveted throughout the tour. The tour starts at 7 pm for 1 hour and 15 minutes. Houston was once called “the dining out capital of the United States” – with a fantastic restaurant scene, the residents in Houston more often ate at these restaurants than stayed at home for their meals. Get the chance to sample the diverse food choices in Houston by going on unforgettable food tours. Explore the upscale Sugar Land area by going on an evening food tour, led by a local neighborhood guide. Experience the remarkable dining scene with a visit to 3-4 restaurants to try out their specialties. This is an idyllic way to feel the small-town Southern charm and chic vibe of Sugar Land. Get ready for an evening of culinary diversity with a food tour through the unconventional and sometimes downright peculiar atmosphere of Montrose. Sample indigenous cuisine alongside progressive food concepts, with a historical & cultural tour of this primarily (in the past, at least) residential neighborhood. Go for an all-American world-class dining experience at the Hard Rock Café Houston, located in the middle of the Theatre District. The restaurant is just a few minutes away from other tourist spots (such as the Downtown Aquarium, Buffalo Bayou, and The Hobby Center for the Performing Arts). You will be greeted with a 35-foot replica of the Stevie Ray Vaughan’s Gibson Firebird guitar at the entrance! See the extensive collection of music memorabilia associated with some of the most celebrated names in the entertainment industry. The Hard Rock Café is open Sundays to Thursdays until 10 pm; Fridays & Saturdays until 12 midnight. What better way to explore the city than to go on a combination haunted night tour and pub crawl? Walk through the downtown area, with stops at historic buildings, each with their own ghostly sightings and creepy tales. A costumed guide will keep you fascinated for two and a half hours with stories about Houston’s haunted past. Quench your thirst (for both drinks & scary stories) at four bars along the way – with each bar having its own unique, supernatural story to tell. This haunted walking tour starts at 8:30 pm and lasts for 2.5 hours. Experience the dynamic Houston nightlife scene with a downtown pub crawl. This will give you a chance to sample the best of the city’s pub scene while getting a fascinating look at the city’s history at the same time. 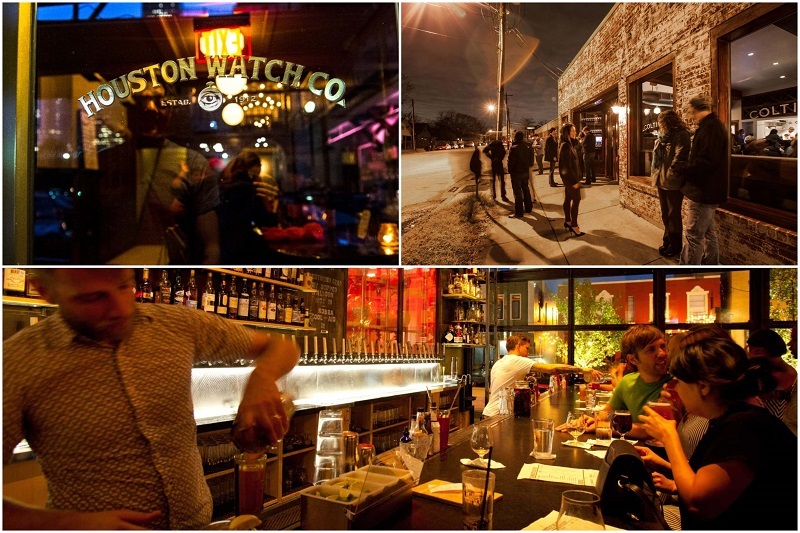 The tour begins at a bar where you will learn about the rough cowboy scene of old Houston. The next stop is a bar in an old jewelry & watch store, where stories of the railroad and its legacy to Houston await you. Visit a place which is a bar at night and a tailor shop during the daytime, along with a charity bar, and other fascinating places. The last stop is at an elegant bar where you can take a photograph inside Houston’s oldest elevator. This pub crawl begins at 6:30 pm and lasts approximately 3 hours. 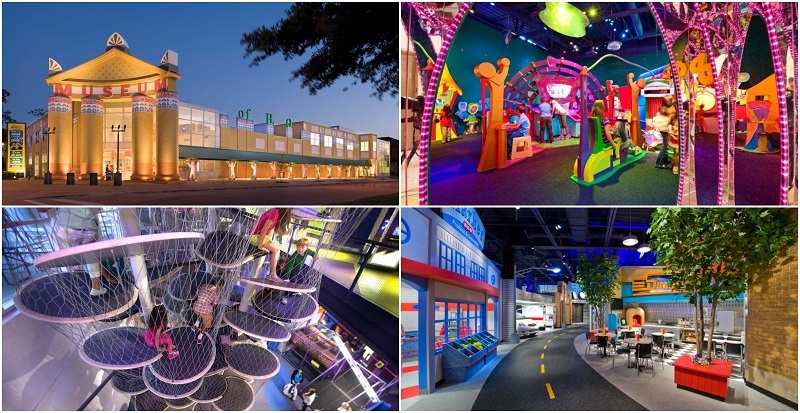 There is a lot to look forward to at the Children’s Museum of Houston – voted as “America’s No.1 Children’s Museum”. Progressive exhibits and interactive bilingual learning programs are aimed at kids from birth to 12 years, with a vision to light the young ones’ passion for lifelong learning. Spend the night choosing which of the 14 galleries spread over 90,000 square feet to enjoy and experience with your children. Head on to the Invention Convention to encourage young minds to invent their own gadgets. Choose PowerPlay where kids can jump, crawl and leap to their hearts’ content. Feed hungry tummies at the Fresh Café, which serves healthy meals in a spacious setting. The best time to go at night is on Thursday when the museum closes at 8 pm. From Tuesdays to Sundays, the museum it opens until 6 pm. 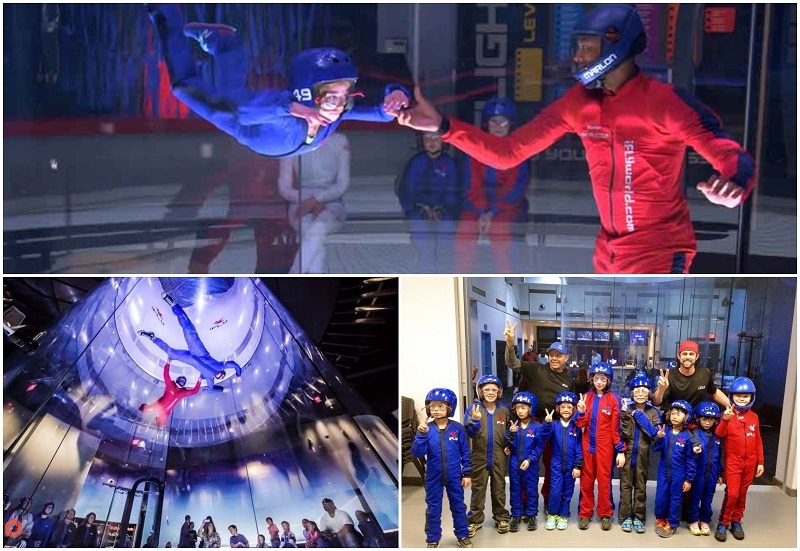 Fly without wings at the iFLY Houston Memorial, where a cutting-edge vertical wind tunnel gives you the boost you need so you can experience the power of flight indoors at night. You will go through a special training session with a flight instructor, to prepare you to “fly”. Learn how to fly in the vertical wind tunnel that produces a wall-to-wall air cushion. Inside the flight chamber, the wind speed is increased until you and the instructor are floating in the air! The experience is completely safe with a stable airflow, and with the instructor being with you at all times. Aim high at iFLY, Sundays to Thursdays until 9 pm; Fridays & Saturdays until 10 pm. Go on a tour of downtown Houston at night as you go on an exciting scavenger hunt with your friends and loved ones. You will download an app on your smartphone to play the game, which also involves texting with a remote survival guide as you go on the hunt. A list will be provided with the items that you need to find or the hilarious tasks that you need to do; with some hunts, you will have to answer questions to earn points. Choose from several thrilling scavenger hunt themes, such as the hunt for holiday items, zombie apocalypse, wacky walks, clue-gathering, and crazy dash. Last game starts at 8 pm, for 2 hours. Go on a shopping frenzy at Tanger Outlets, a shopping mall chain where you will find a variety of designer outlet and brand-name stores offering remarkable discounts. Spend a few hours scoring great shopping finds at shops such as Cole Haan, Burberry, Armani Exchange, Saks Fifth Avenue, Coach, Kate Spade New York, True Religion, TAG Heuer, and a whole lot more. Relax and enjoy the evening breeze after shopping as you stroll on the outdoor walkways – on your way to get a snack at the food court, perhaps? Tanger Outlets is open Mondays to Saturdays until 9 pm and Sundays until 7 pm. Located within Hermann Park, the Houston Zoo is spread over 55 acres with over 900 species of animals. This is the second-most visited zoo in the United States, housing more than 6,000 animals. This is a fascinating way to enjoy your night with friends and family, as you go through the numerous animal encounters, exhibits, and ecosystems inside the zoo’s 15+ distinct areas. Should you have any questions, a friendly zoo staff member is available to give you the information you need. Feeling hungry after all that exploration? You have five cafes and dining options to choose from, including food trucks serving American and Asian fare. 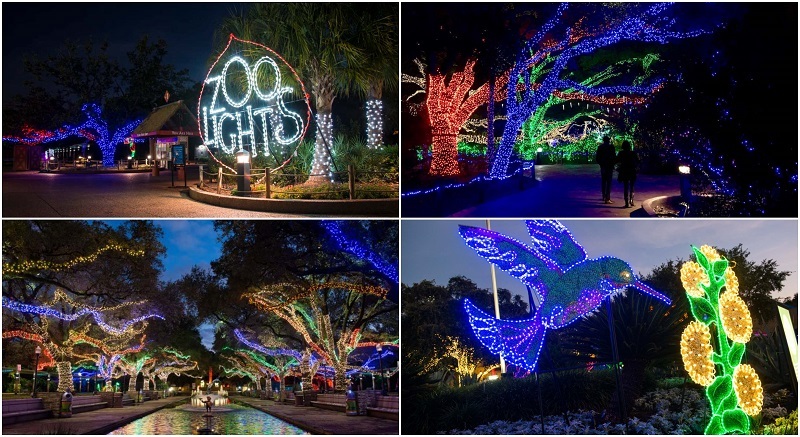 Yearly from November to January, they have “Zoo Lights”, plus other late-night events throughout the year. 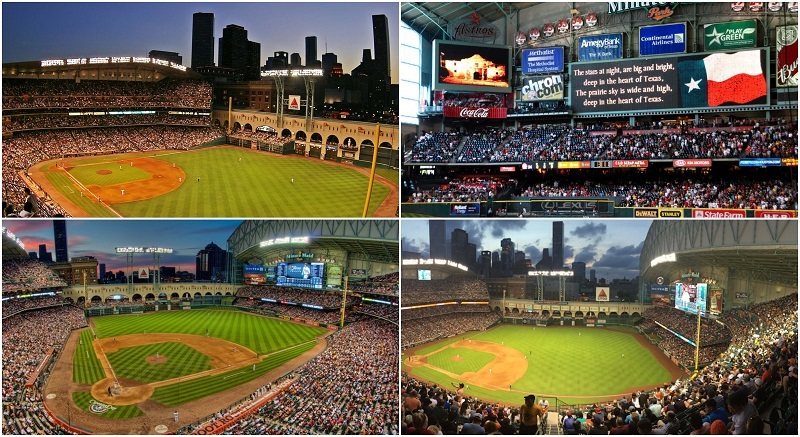 See for yourself how the people of Houston love baseball as you watch an Astros game at the Minute Maid Park, which features a natural grass playing field and a retractable roof stadium. With a seating capacity of more than 41,000, the ballpark will surely let you feel the high energy of watching an intense baseball game! The park’s main entrance is the historic Union Station, made a part of the ballpark as a homage to the city’s railroad history. 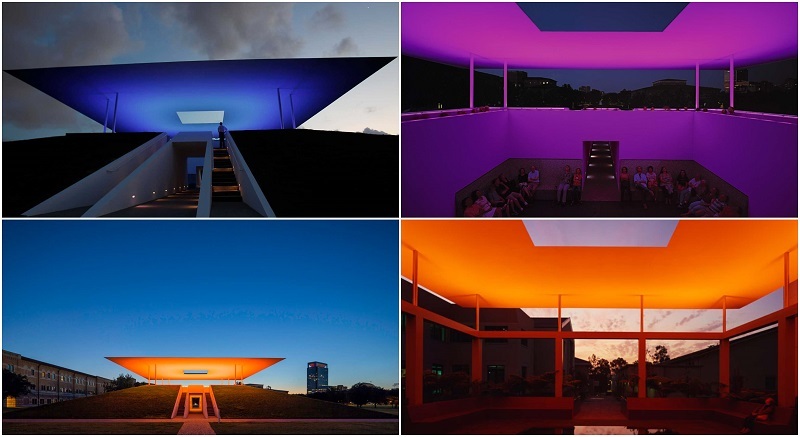 Spend a fascinating sunset visiting the Twilight Epiphany Skyspace, designed by artist James Turrell. The abstract structure resembling a pyramid was designed to complement the light during sunrise and sunset, producing a breathtaking light display featuring LED lights that project into a thin white roof. Make sure to head on to the Suzanne Deal Booth Centennial Pavilion just before sunset on Wednesdays to Mondays, to get ready to watch this spectacular light sequence. Houston has one of the largest Asian population in the United States – so you will have a lot to look forward to in the city’s Chinatown at night. Though largely residential, the area is also filled with family-owned restaurants featuring authentic Asian (not just Chinese!) cuisine, with choices ranging from curry to pho and dim sum. For bargain-hunting, head on to Harwin Drive for fashion, jewellery, and electronics at discounted prices. The Hong Kong Food Market grocery store is where you will find fresh Asian produce and seafood. Tired from all that walking? Treat yourself to a reflexology massage from one of the massage places that abound in Chinatown. 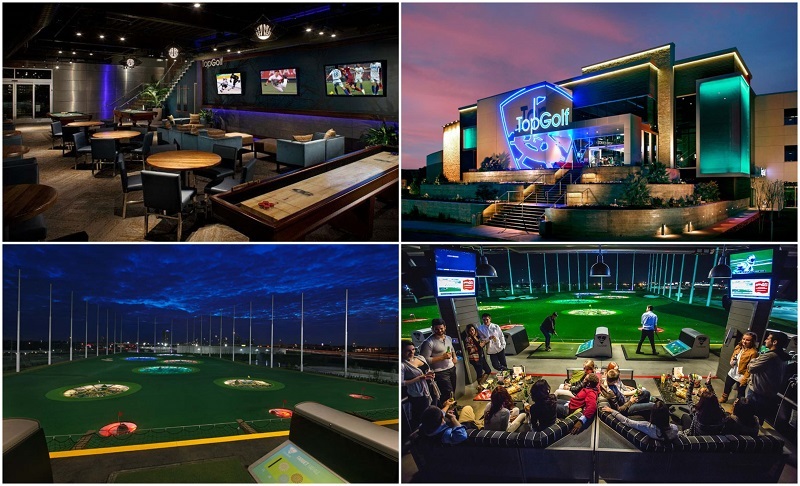 Topgolf is a sprawling entertainment complex combining a cutting-edge driving range and a local hangout spot. This is where you can enjoy golf at night, regardless of your skill level, as the place just encourages you to relax and mingle with friends. Topgolf Houston features more than 100 climate-controlled hitting bays and a Toptracer shot tracker if you want to concentrate on your game. Afterwards, you can head on to the full-service restaurant and bar for a sumptuous meal & drinks, or to the rooftop terrace & fire pit for a chill-out barbecue session. Topgolf is open Sundays to Thursdays until 11 pm; Fridays & Saturdays until 1 am. 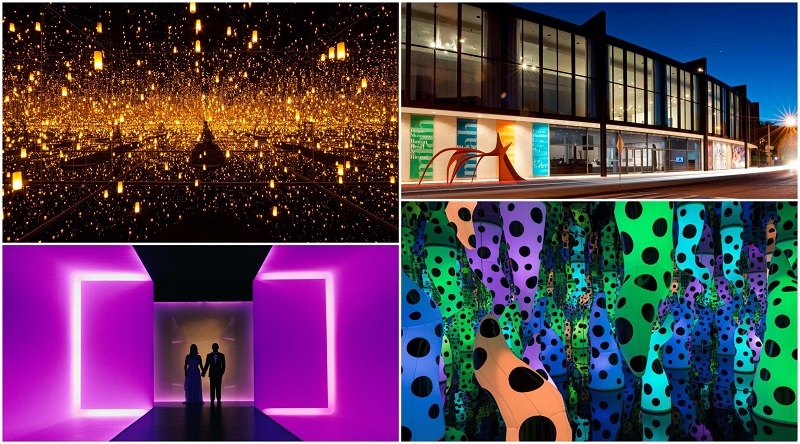 There is no shortage of fun & exciting things to do in Houston at night. Whether you want to learn at the museums, explore the pub and food scene, or check out the theatre district – you will surely have a wonderful time exploring Houston, the Space City.